Middle-Earth: Shadow of War is shaping up to be one of the better-looking action adventure games coming this year - with its innovative Nemesis system, fluid combat and a plethora of improvements over predecessor Shadow of Mordor, it's not hard to see why. The game has also generated a bit of controversy recently with developer Monolith's announcement to include microtransactions in the game upon release. There are plenty of people that dislike microtransactions on principle, but others simply balk at their inclusion in single-player titles specifically. The Deus Ex: Mankind Divided debacle is a perfect example of that. 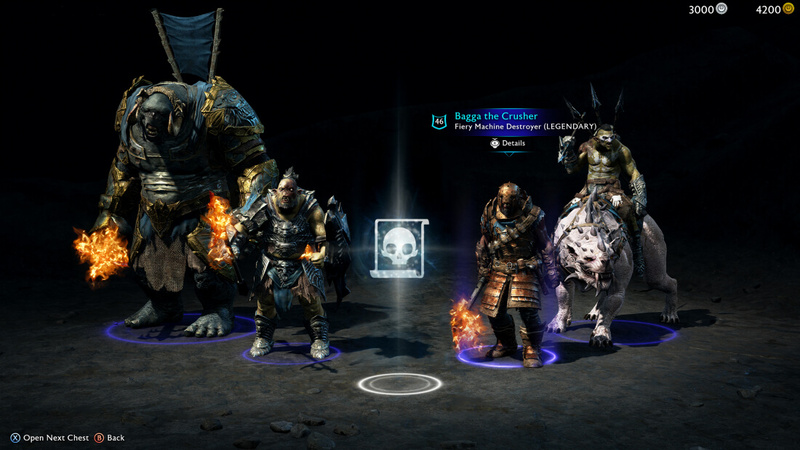 Shadow of War's microtransactions come in the form of -- you guessed it -- loot boxes. Well, "War Chests" and "Loot Chests" technically, but they function in pretty much the same way as loot boxes from games like Overwatch or Heroes of the Storm do. These loot boxes offer various pieces of equipment (weapons and armor) or Uruk followers. Both chests offer items of varying rarities, ranging from Epic to Legendary. These chests come in three tiers - Silver, Gold, and Mithril. Silver chests can be unlocked with the easily obtainable in-game currency of Mirian. You get Mirian by completing missions, killing Treasure Orcs, and through various other in-game methods. Silver chests contain 2 regular items or followers (with a minimum of 1 epic guaranteed) and 1 consumable item. Gold and Mithril chests contain more loot and followers - all of which have better guaranteed rarities than Silver chests do (Gold chests guarantee at least 1 Legendary item, for example). However, these chests can only be purchased with Shadow of War's "premium" currency, Gold. The only way to get your hands on Gold is to either purchase it with real money, or earn small amounts for participating in community events and achieving certain milestones. There's no word yet on how much Gold is going to cost. It's worth noting that all of the items that you might receive through loot chests can be earned by simply playing the game - it's just going to take you longer. According to the developers, Gold "merely allows you to get your hands on (the items) immediately", saving you time and effort.